A Jewel of the Seas cruise has it all – panoramic sea views, top quality entertainment, fine dining and much more. Cruise 1st Australia is offering some great deals – check out our Jewel of the Seas cruises here. 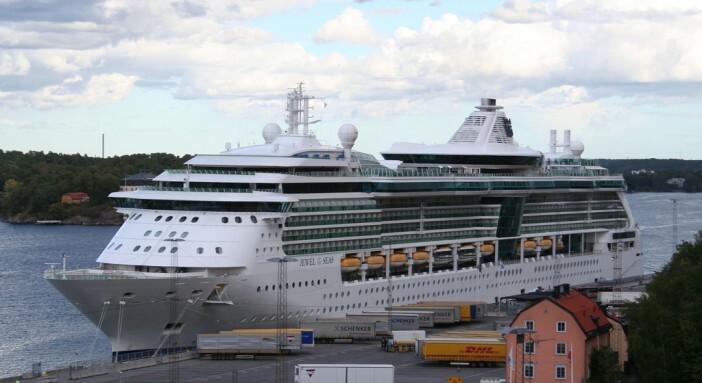 Jewel of the Seas is one of Royal Caribbean Cruises’ Radiance class cruise ships. It was built and launched in 2004, and today sails 7-night cruises around the Caribbean islands. Jewel of the Seas’ name is quite appropriate – with the ships many glass exteriors allowing light to stream in from all angles. The centrepiece is the 9-deck Centrum, with its domed ceiling and glass lifts providing beautiful sea views. You’ll find plenty to keep you entertained on board. For action and adventure there’s the Sports Court, which includes a full-sized basketball area and even a climbing wall. For relaxing, try the Day Spa, or maybe one of the self-levelling pool tables in the Colony Club. Families with young children needn’t worry about dragging the kids round with them all day long – they’re in safe hands at the Royal Babies & Tots Nursery. The Adventure Ocean facilities are also a great place for them to spend some time. You’ll also find a selection of theatres and shows to entertain the whole family. There’s simply so much to do here that you might just struggle to fit it all in! Staterooms on Jewel of the Seas are tastefully decorated and spacious, no matter what your budget. Even the interior staterooms are deceptively roomy and feature luxury bedding, private bathroom with vanity area, TV, telephone and safe. The outside staterooms are nearly identical but also provide beautiful ocean views. Meanwhile the Balcony suites offer more room, with a larger seating area and a private balcony where you can take in the sea air with your morning coffee. And the Suites and Deluxe Staterooms provide the very best living conditions on board, with beautifully finished rooms and a range of exclusive amenities including concierge service, priority check-in & departure and luggage valet service. You can take a look at all the latest Jewel of the Seas cruise deals here. We update our cruises regularly, so be sure to check back if you can’t find what you’re looking for. You can also find out what else is available using the search tool.